A smart, elegant black leather jacket. Suitable for all occasions. 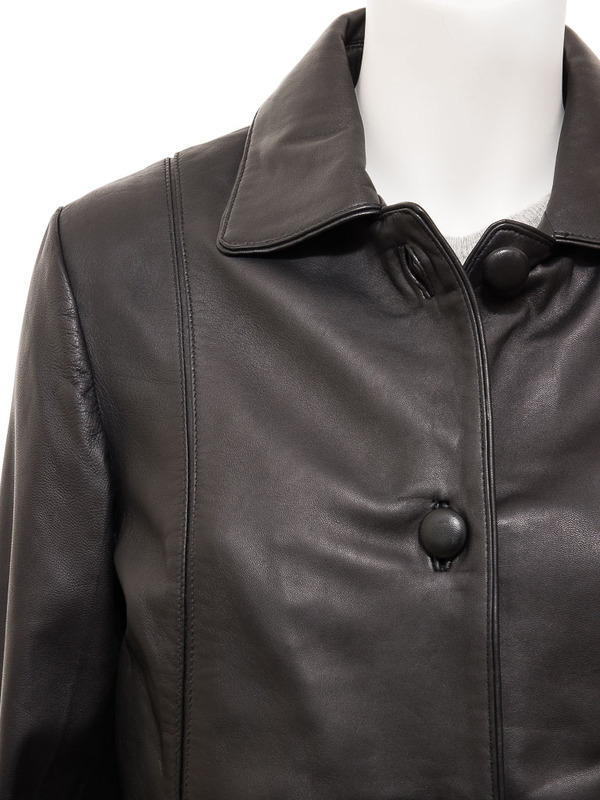 A soft and very supple sheep nappa leather is used on this jacket because it drapes really well and holds colour brilliantly. 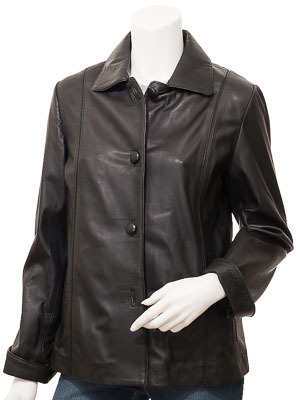 The jacket is single breasted with four, leather covered buttons fastening up the front to a shirt collar. 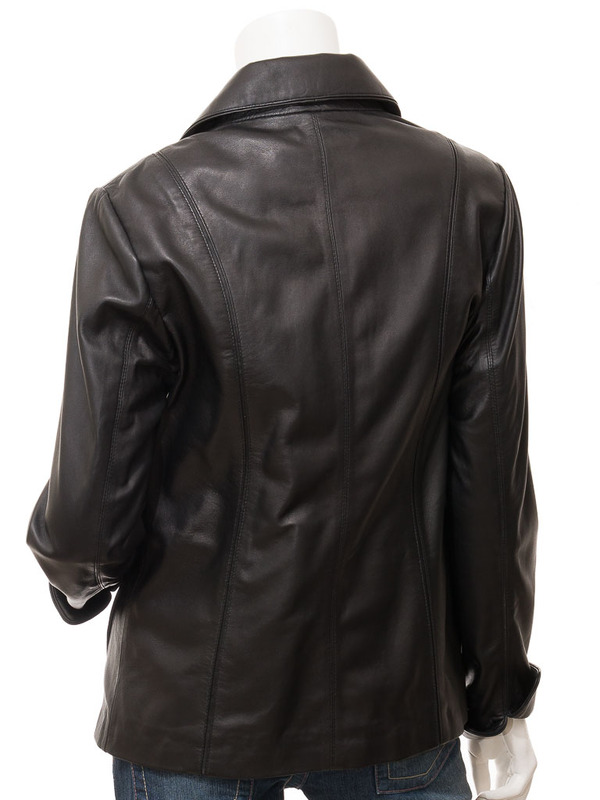 A narrow, inset, stitched panel extends from each shoulder down the front and rear to the hem which gives a lovely, slimming line to the silhouette alongside two jet pockets at the waist. 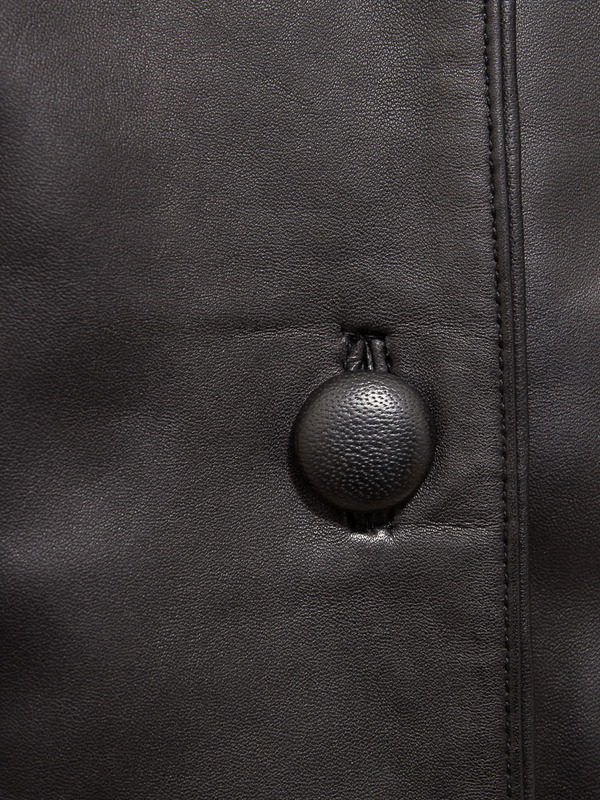 The cuffs can be folded back while the interior sports a full satin lining with two, leather trimmed pockets inside.